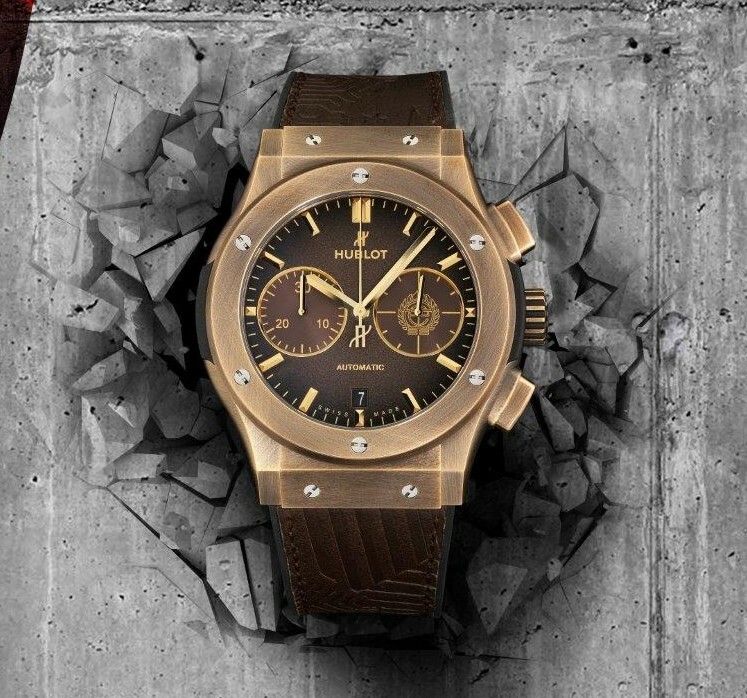 “Fame vs Fortune” carries on the watchmaker’s “Hublot Loves Art” campaign, pivoting it as classic West Coast – East Coast rivalry. Hush represents the West Coast and the fame that spills out of Hollywood, while Tristan Eaton characterizes the mentality of the East Coast, where NYC’s Financial District is all about fortune. 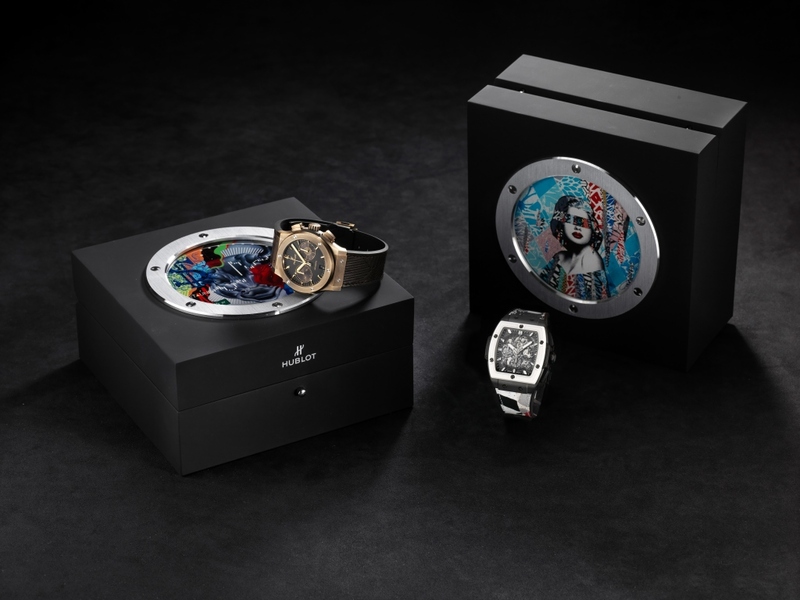 Inspired by an array of Hollywood legends, Hush designed Spirit of Big Bang West Coast Ceramic Black and White, which bears a remarkable black-and-white portrait of a woman across the multi-colored, mixed-media case back. 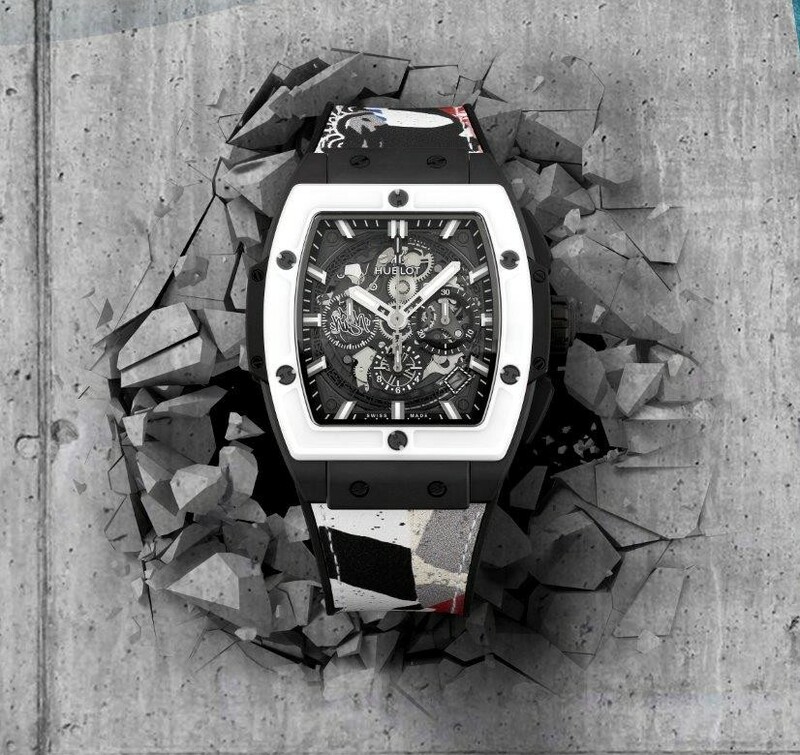 Powered by HUB4700 Chronograph movement, the 42mm watch features a skeletonized “Aerofusion” dial, ringed by a white ceramic bezel. 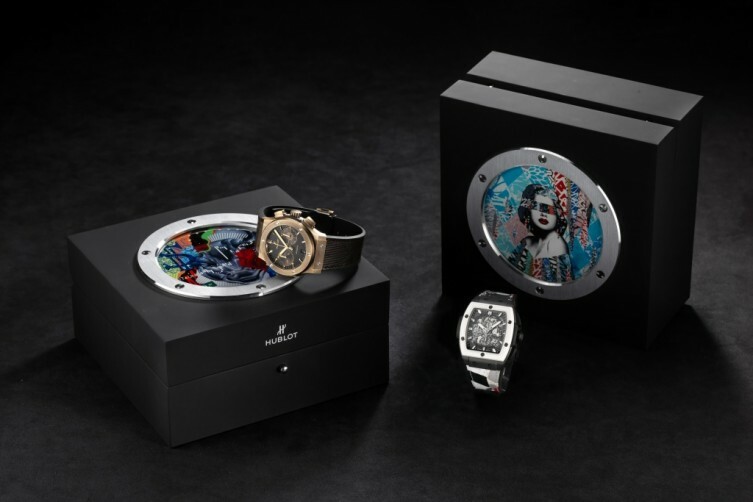 “The image I created for Hublot has a multitude of ideas which represent ‘Fame, individuality and strength to the iconic personality’ as well as placing itself in time through my contemporary street art influenced aesthetic,” Hush said. For his Classic Fusion Bronze, Tristan Eaton reimaged the Charging Bull sculpture with brushed-bronze finishes and polished gold-plated appliques. 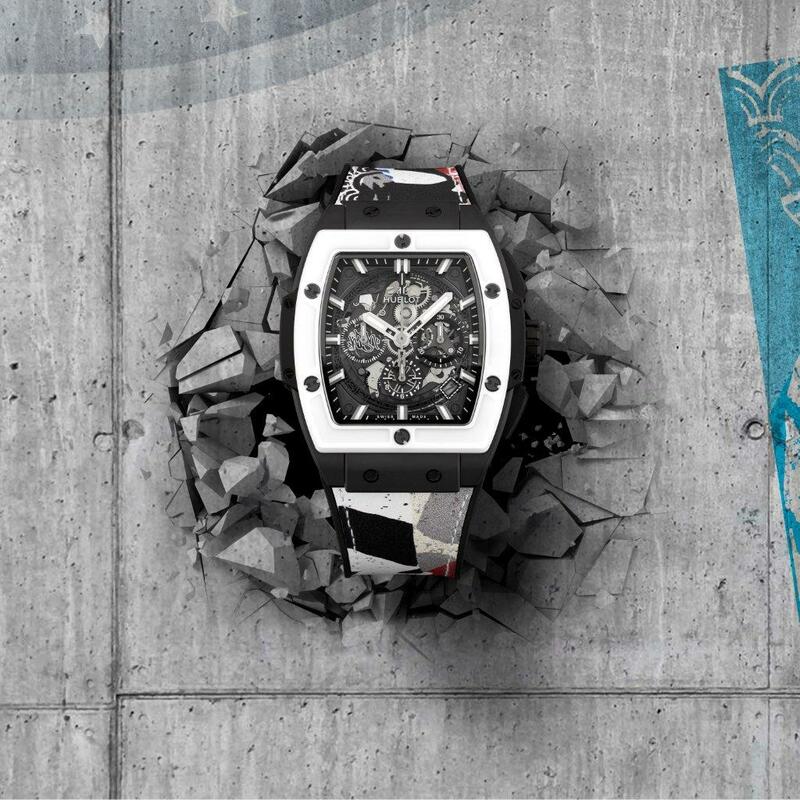 Holding the HUB1143 Chronograph movement, the case back boasts an array of themes that symbolize New York City’s money prowess – from the dollar sign to the Wall Street plague. 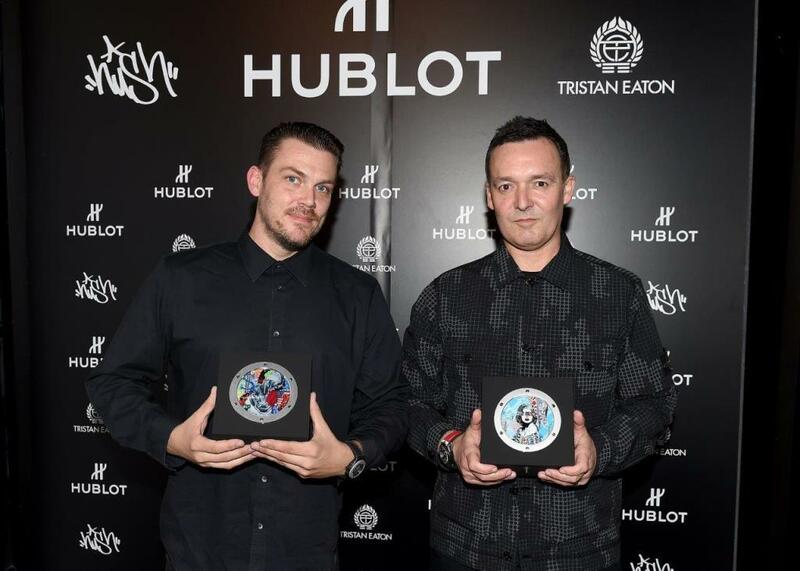 “It is exciting for me as an artist to have the opportunity once again to partner with Hublot and collaborate on another timepiece with the brand,” Tristan Eaton said. The timepieces received their official launch at Lightbox Studios outside Times Square, where an interactive media display introduced the guests, including Hublot brand friend Jesse Palmer, to the unique sensitivities that shape each watch. 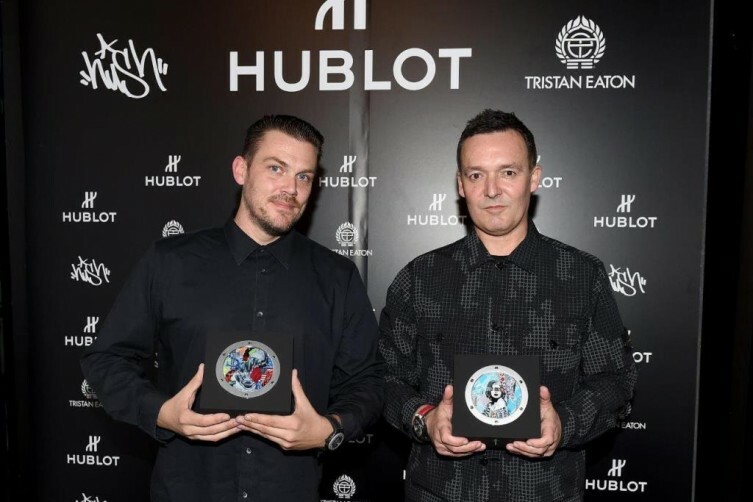 In early December, the two creations will travel south to Hublot’s boutique in Bal Harbour to commence the annual Hublot Loves Art in Miami series for this year’s Art Basel Miami.